I found these at a wonderful site called Matte Shot, a tribute to golden age special effects artists. The third image shows the matte as it appears in the film, and you can see a lot more at the link, including a miniature of the castle. Took got his start at Britain’s Pinewood Studios, and his first mattes appear in Warlords of Atlantis (1978), the oft-forgotten (and still unreleased on DVD in the U.S.) fourth fantasy-adventure directed by Kevin Connor and starring Doug McClure. Took went on to work on classics like Clash of the Titans (1981), The Adventures of Baron Munchausen (1988), and Batman (1989). More recently, he has worked as Miniature Effects Supervisor on The Wolfman (2010) and The Monuments Men (2014). He was also Visual Effects Supervisor on my favorite horror film of the last 15 years, Neil Marshall’s The Descent (2005). 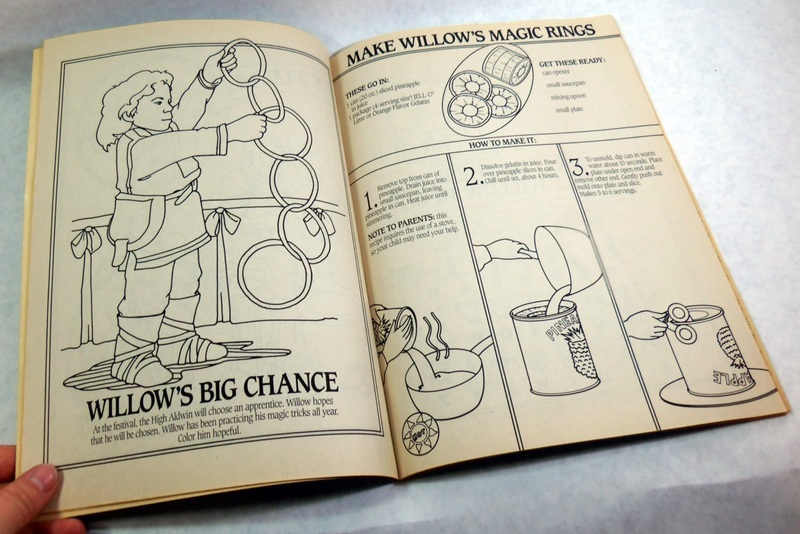 This is the first time I’ve mentioned Willow in the three years since I started the blog. Oversight, or small mercy? 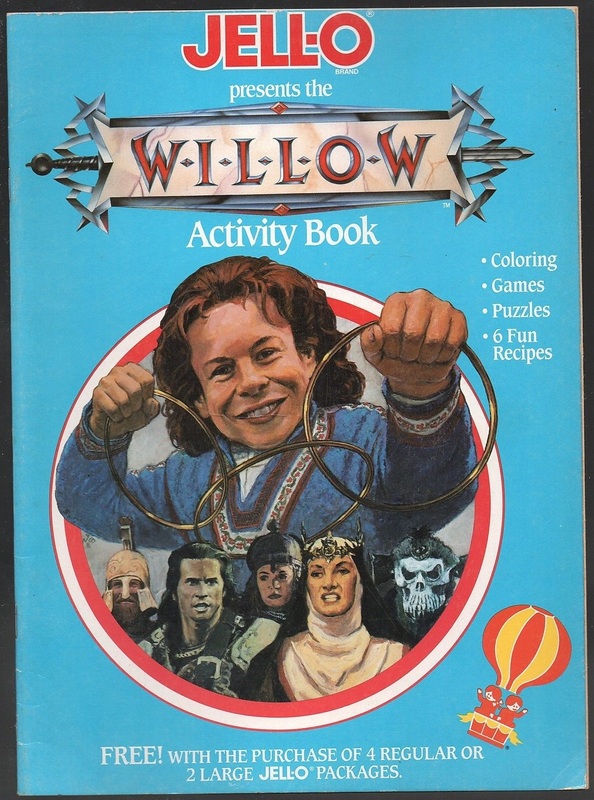 TV’s first real foray into the realm of high fantasy was a truly ahead of its time combination of awesome adventure and witty self-awareness. Prolific sitcom writer Don Reo (The John Larroquette Show, Two and a Half Men) had a different vision in mind than previous grim and gritty attempts at the genre as seen in cinema – a vision underscored by the show’s own opening titles, which frame the action as comic book panels. Jeff Conaway (Taxi, Babylon 5) stars as valiant Prince Erik Greystone who, along with his strongman sidekick pal Marko (Walter Olkewicz), battles evil Prince Dirk Blackpool (Duncan Regehr, Star Trek: Deep Space Nine) and malevolent magic-user Vector (Clive Revill) for control of the continent of Aperans and his country of Camarand. And for the hand of fair, spoiled and leather pants-obsessed Princess Ariel (Julia Duffy, Newhart). Now the time has come to heed the call of adventure – and comedy! 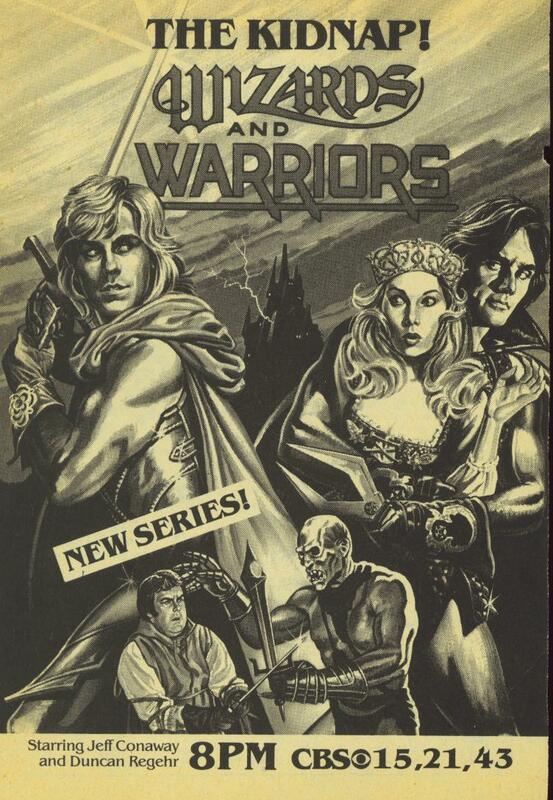 I don’t think the show was very witty or ahead of its time, but it is historical and worth watching at least once if you’re interested in the evolution of the sword and sorcery genre and/or the ’80s fantasy boom. Conan especially likes his protein powder when it’s chocolate-flavored and served in fancy crystal—with a strawberry on the rim. 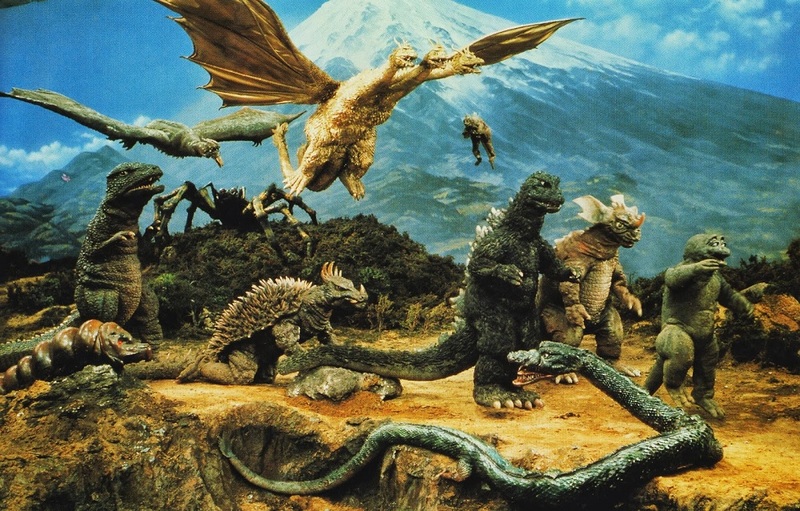 The idea here is pretty simple: Kaiju, a Japanese film genre focusing on giant, mythic monsters, turns 60 this year. Before Hollywood tramples the elusively deep tradition for a second time (third, if you count Pacific Rim), I wanted to go back and talk about the real deal, especially with the curious beginner and lapsed fan in mind. We all watched and adored Godzilla and his cohorts as kids. With a little patience and imagination, the experience can be even more rewarding as an adult. There will be four parts in the series. In part one, I talk with Mikey Walters about the origins, characteristics, and themes of kaiju, as well as the evolution of the Godzilla character. In parts two through four, presented on consecutive Fridays starting next week, Mikey will offer his personal essential kaiju film lists, which include (1) his favorite five Godzilla films, (2) his favorite five non-Godzilla kaiju, and (3) his favorite five “guilty pleasure” kaiju. For reference, most kaiju movies are classified according to release dates roughly corresponding to Japanese historical eras: the Shōwa era (1954 – 1975), the Heisei era (1984 – 1995), and the Millennium era (1999 – 2004). Each era has its own flavor, method, and continuity (or continuities). I should also mention that, in English, ‘kaiju’ can refer to the film genre, or it can refer to the actual monster(s), depending on the context. In the original Japanese, kaijū refers to the monster (literally ‘strange creature’), and kaijū eiga refers to the monster movie. You’ll find a helpful Godzilla filmography at Wikipedia, and there’s an exhaustive list of kaiju films, with accompanying photos, at Listal. 2W2N: `Kaiju’ in the English world usually translates, in spirit, as ‘giant monster on the rampage’. Is it really that simple? 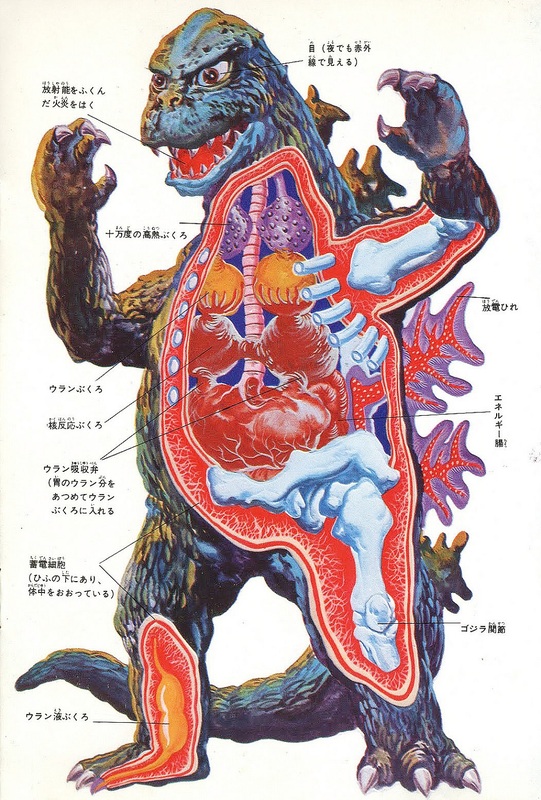 What are the defining characteristics of kaiju? Does the genre have to feature suit work, for instance? Can an American movie ever properly be called kaiju? WALTERS: My thoughts on the kaiju genre have grown out of my admiration of Japanese tokusatsu (special effects) films, which I discovered in my childhood. That admiration has developed into a true obsession over the years. 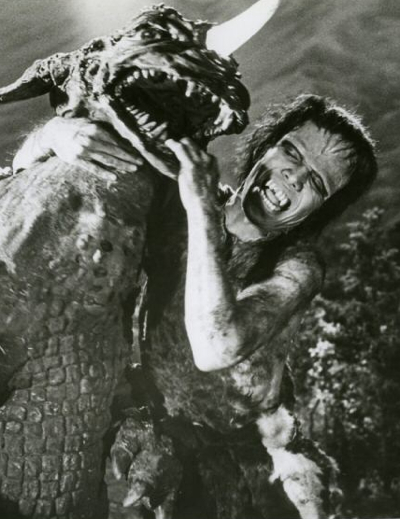 There are many excellent sources of scholarly research on kaiju films, both online and in print, of which I’m completely in awe (see a partial list at the bottom of this Q&A). However, I can certainly offer my opinions as a fan and student of the genre. Second, I think most kaiju films contain a positive moral or message of some sort. Sometimes this message is the classic one of mankind or science going “too far,” such as the nuclear testing that created the original Godzilla, or environmental abuse, such as the heavy-handed scenes of pollution that spawned Hedorah (a.k.a. the Smog Monster). But more often, these films are about the unity, spirit or will of mankind, not to overcome kaiju, but to somehow coexist with them. Kaiju are usually thought of as a force of nature and often seen as mystical, as if their presence, regardless of the calamity and destruction they bring, is “ordained” to bring mankind together. Third, and I realize this is a chicken and egg situation, kaiju films have developed many strong traditions, both in the realm of special effects and character archetypes. While more recent Japanese kaiju movies have increasingly improved special effects with the use of CGI, they have never abandoned the artistry of suit actors stomping through a detailed miniature set, and it would probably be unthinkable for them to do so. This tradition not only honors the special effects masters who invented the techniques, but also maintains the fantasy that I mentioned before. Many movies include certain characters like the “grizzled general with a past,” or the “sensitive child who loves kaiju,” among many others, and while kaiju films are not known for character development, these archetypes do seem to have a natural arc that is resolved along the way. It’s hard to make a judgment call on American kaiju films, but my opinion is that it can’t truly be done, simply because American audiences demand too much realism and are unwilling to “partner” with the filmmakers in the fantasy. Pacific Rim (2013) was a fantastic love letter to the genre, and felt more like a real kaiju film than any other American attempt (even including the character archetypes), but the special effects were just too modern and broke the traditions I think are necessary. That’s not to say I didn’t love the movie, but I often found myself hoping for simpler cinematography so I could determine my own sense of participation in the battle. 2W2N: The giant monster genre started in 1933 with the hugely successful King Kong. 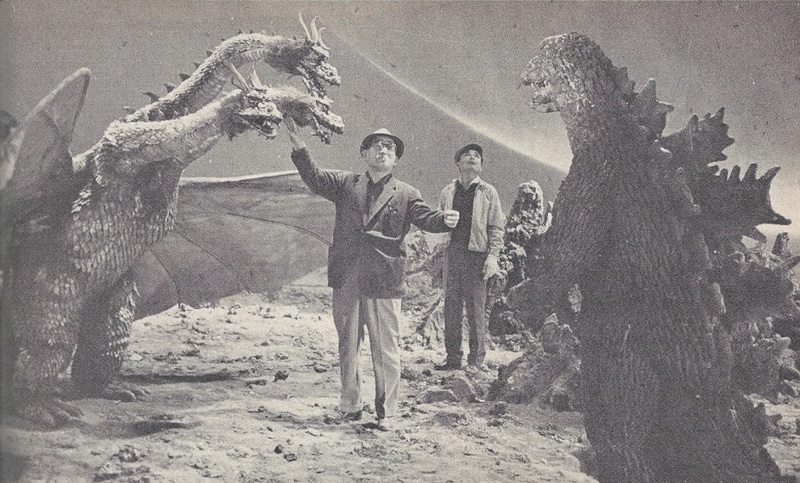 The movie had a tremendous influence on the two men who would perfect their respective techniques and define the genre forever: Eiji Tsuburaya and Ray Harryhausen. Do you know how Tsuburaya came to “suitmation” instead of stop-motion? Was it because Japanese effects artists were so much more advanced with miniatures? WALTERS: Tsuburaya was certainly a huge fan of King Kong (and later The Beast from 20,000 Fathoms, which Harryhausen made in 1953, just before Godzilla‘s premiere in 1954), and actually dreamed of mastering the stop-motion process. There were several reasons that Tsuburaya settled on suitmation. 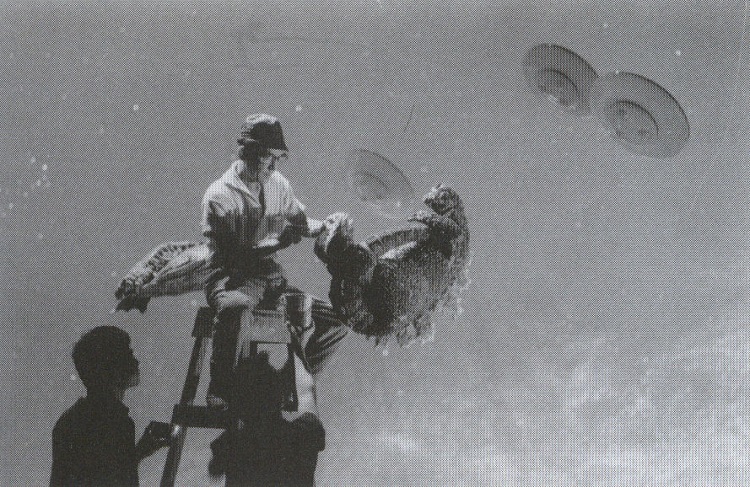 First, Toho wanted Godzilla (Gojira in the original Japanese) made quickly and inexpensively, and Tsuburaya estimated that it would take years to bring his monster to life using stop-motion. Incredibly, Godzilla was shot in only three months, so he certainly made the right choice. 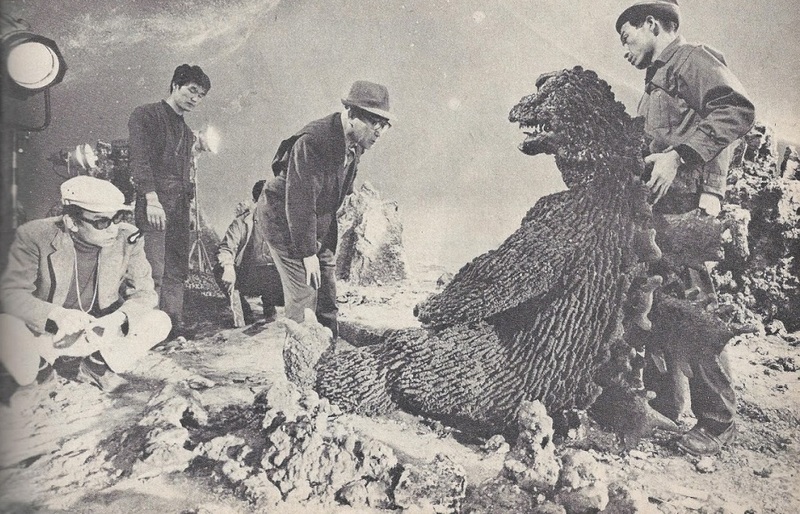 Second, and probably more important, because suitmation defined the kaiju’s “real world” size as the size of the suit actor, the scale of the miniature environments was drastically larger than would have been possible with a stop-motion armature. You can imagine the difference between a skyscraper built to the scale of a 12-inch puppet versus the scale of a 5-foot man! Tsuburaya was already known for his fantastic ability in miniature photography. (He is famously known for shooting a miniature recreation of the attack on Pearl Harbor, a scene from the 1942 Japanese film The War at Sea from Hawaii to Malay, that was later mistaken to be actual footage by the U.S. military!) These larger sized environments allowed for extreme detail that simply would not have been possible at a smaller scale, allowing Tsuburaya and his skilled crew to realistically recreate Tokyo landmarks and even place individual roof tiles for Godzilla’s stomping pleasure. It’s interesting to note that Toho did allow Tsuburaya to experiment with stop-motion in a limited sense. In fact, the original Godzilla does contain two stop-motion segments: one of a truck crashing onto its side, and one of Godzilla’s tail. There’s no reason the truck crash couldn’t have been shot in live action, although sometimes I think Tsuburaya “prepares” the viewer for a cut to a miniature scene by using a transitional scene like this. Later, in King Kong vs. Godzilla (1962), Tsuburaya experimented again during the giant octopus attack. One quick scene uses stop-motion as a tentacle grabs a doomed native, while the rest of the sequence uses a live octopus. These scenes are fun to see, but ultimately I think Tsuburaya and Toho realized they were defining a new genre with their films, so they abandoned the stop-motion experiments. 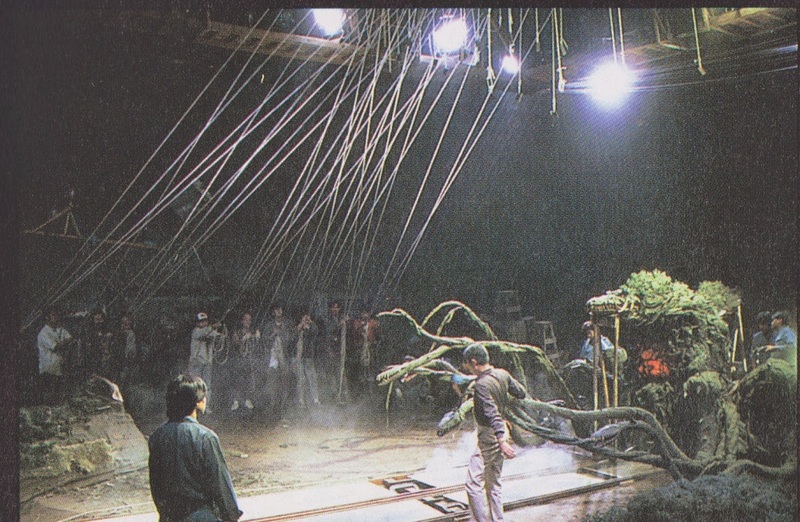 Top: effects technicians prepare to operate the multitude of wires used to animate Biollante’s tentacles. Bottom: action sequence from Godzilla vs. Biollante, 1989. 2W2N: I want to go back to the kaiju themselves. They’re certainly forces of nature, as you said, but don’t they also represent us, our struggle to cope with our own destructive impulses? There’s no exact analogy in American film, but I’m thinking of George Romero’s zombies/ghouls, or even Jason in the Friday the 13th franchise. We can’t kill the monsters because the monsters are part of us, because inhumanity is part of humanity. To be more specific, is it off base to say that the kaiju genre—initially, at least—was just as much a statement against Japanese imperialism as it was against the atomic bombings that ended the Empire? WALTERS: That’s a difficult question, since true kaiju films are very much a product of Japanese culture, and it’s impossible for someone raised in another culture to fully relate to the Japanese mindset, especially as it was in 1954 at the release of the original Godzilla. Without a doubt, nearly every kaiju film ends with a variation of the lament: “The human race has pushed science too far! Our own arrogance has awakened the beasts!” However, I think “awakened” is a key concept. 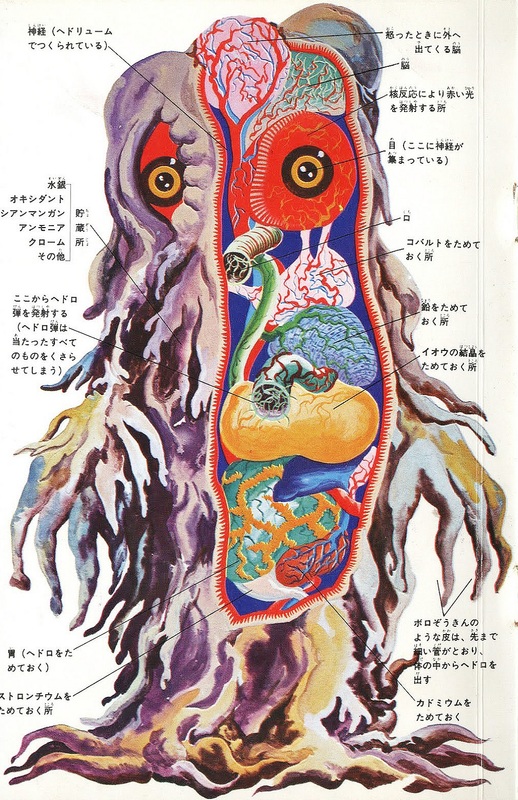 Most Earth-born kaiju (excluding kaiju from space used for invasion purposes, such as King Ghidorah or Gigan) already existed and were simply slumbering, inside a mountain or at the bottom of the ocean, and were awakened by mankind’s interference. So we didn’t actually create the kaiju, we only angered them (or perhaps enlarged them via radiation) by our hubris, abuse of science, or disregard for the environment. Top: Eiji Tsuburaya prepares miniatures for the abduction scene in Invasion of Astro-Monster, 1965. 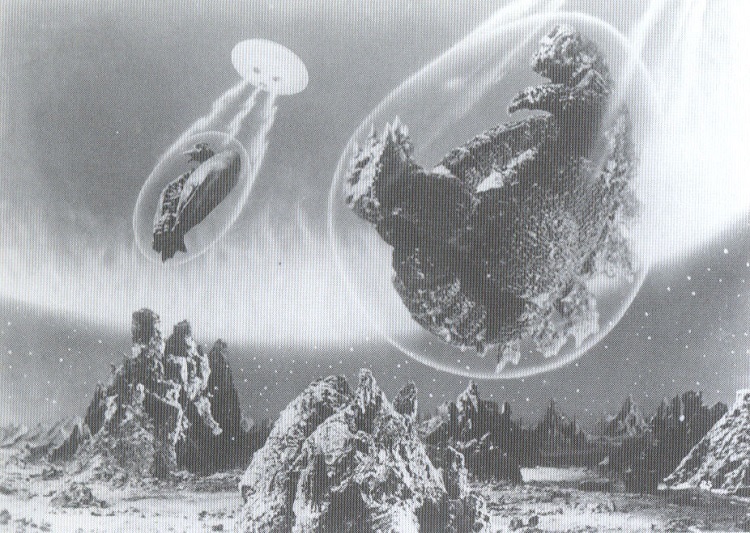 Bottom: The Xians deposit Godzilla and Rodan on Planet X.
There’s no question that the original Godzilla was a statement against nuclear weapons, but in addition to the obvious references to H-bomb testing on Bikini Atoll or the hardships of life in a post-nuclear tragedy (brought out in an interesting conversation on a train in a scene that was cut from the U.S. release), the plot involving Dr. Serizawa and the Oxygen Destroyer seems to mirror the idea that mankind has incredible destructive power. So perhaps the end of the movie does speak to your point—“we can’t kill the monsters because the monsters are part of us”—because although Serizawa has destroyed all of his research material that led to the creation of the Oxygen Destroyer, he still realizes that he must destroy himself as well. Because he does not trust himself to keep his scientific discovery a secret forever, as a representative of mankind and science, he made sure the one and only use of his discovery would result in his own death. 2W2N: Good points. I’m probably trying a little too hard to push my own Western interpretation. Let me go in a different direction, since you mentioned Serizawa. I thought of the character recently while watching Robert Oppenheimer’s famous TV interview in 1965, when he describes his feelings about developing the atomic bomb with a quote from the Bhagavad Gita: “Now I am become death, the destroyer of worlds.” The footage is absolutely chilling. I know this is a tough question, but do you think Serizawa and his final sacrifice were meant to be a statement about the scientists involved in the Manhattan Project? WALTERS: You aren’t kidding when you say it’s a tough question! It’s hard to say that there’s a real connection between the Manhattan Project and Serizawa, but I do think there’s a statement about humanity, since director Ishirō Honda often liked to show that, regardless of our destructive nature, there is hope if we grit our teeth and do the right thing, no matter how tragic. Whether it’s self-sacrifice to destroy a rampaging kaiju, or even altering the Earth’s orbit with huge rockets to avoid colliding with a star in Gorath (1962), making the hard decision can redeem us, at least temporarily. I have to admit my historical knowledge of Oppenheimer is lacking, but I think Serizawa’s situation differs in a few ways. His discovery of the Oxygen Destroyer is an accident, and he immediately decides to keep it a secret until he can find a way for it to benefit humanity. I think he only tells Emiko about it as a weird way to impress her, since he’s insecure in the love triangle. He is so adamant in his decision not to use the Oxygen Destroyer that nothing can convince him to do otherwise, until he hears a children’s choir on TV singing for peace. Later, as he starts to burn all his research, Emiko cries because I think she already knows Serizawa will sacrifice himself, because he knows how to make the hard decision to avoid Oppenheimer’s later regret. In the Heisei series, this becomes incredibly ironic, because the use of the Oxygen Destroyer in Tokyo Bay mutates prehistoric creatures that eventually form Destoroyah. 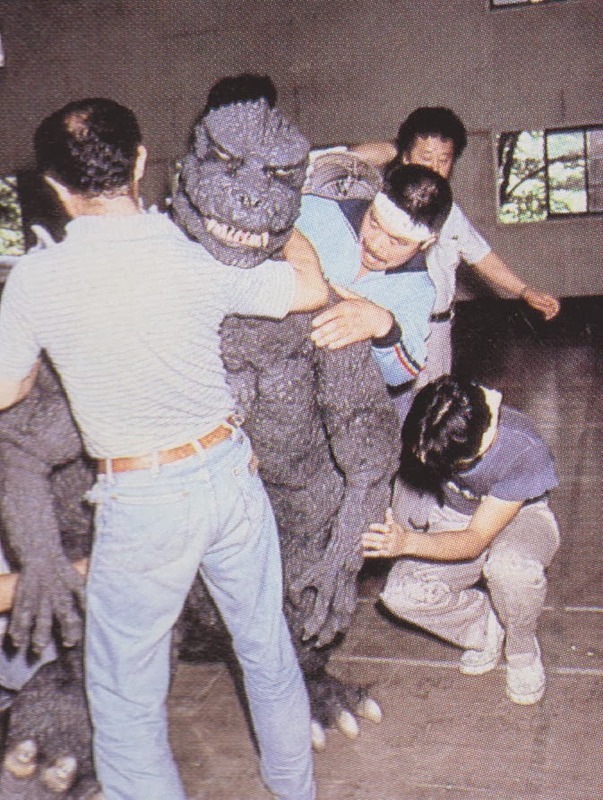 Crew members force suit actor Kenpachiro Satsuma into his Godzilla costume, 1985. Satsuma would often pass out on set due to overheating. 2W2N: The self-sacrifice required by duty and honor is certainly sacrosanct in Japanese culture, isn’t it? Let’s talk some Godzilla, since he’s (is he really male, or is that presumption on my part?) the most popular kaiju by far. Rewatching all the films from the Shōwa era, it’s really interesting to see how the character develops and the mood of the films changes. In the first two movies, Godzilla is something of a plot device, albeit a magnificent one, that generates the human drama. The third, King Kong vs. Godzilla, is a traditional monster mash. But by the time we get to Mothra vs. Godzilla, things have changed entirely. There are multiple kaiju now, and they’re unquestionably front and center. The tragedy of Serizawa (and Kobayashi, in Godzilla Raids Again) is replaced by the tragedy of Mothra. The mythology surrounding the creatures starts to build. The fantasy elements begin to take over. How and why did the direction change so quickly? WALTERS: Godzilla Raids Again (1955) was rushed into production quickly (it’s quite amazing to think that a special effects oriented sequel could be in theaters only a year after the original), so inventing another kaiju (Anguirus) for the new Godzilla to battle was perhaps the easiest way to get things rolling. This quickly established the kaiju vs. kaiju format, and I think the fact that audiences enjoyed these massive matches influenced the direction of future movies. While I love to think of kaiju movies as art films (and I feel like this interpretation is valid in many ways), there’s no doubt that Toho was looking for box office success and made an effort to give the public what it wanted. Mothra vs. Godzilla (1964) is quite unique (and the best of the series to many fans) in its mythology, but it benefits greatly from the fact that Mothra was fully introduced in her own 1961 film, so she brought a significant backstory that made a great story even richer. But the biggest change in direction for the series comes in the very next film, Invasion of Astro-Monster (1965), when Godzilla does his famous “victory dance” after driving off King Ghidorah, now considered to be the moment when Godzilla becomes anthropomorphized into a superhero. From then on, Godzilla starts displaying human traits and even human movements that Japanese audiences would recognize from contemporary celebrities, and once Toho started to realize how children loved cheering on Godzilla, the tone of the movies changed drastically, until it seems like every film ends with Godzilla walking into the sunset while children wave and scream goodbye. I still enjoy these lighthearted scenes in the series, but I think they also drove away the “serious” audience and caused a somewhat necessary end to the Shōwa series before the Heisei reboot in 1984. 2W2N: A couple of moments stand out for me in terms of Godzilla becoming a real character and superhero/anti-hero. 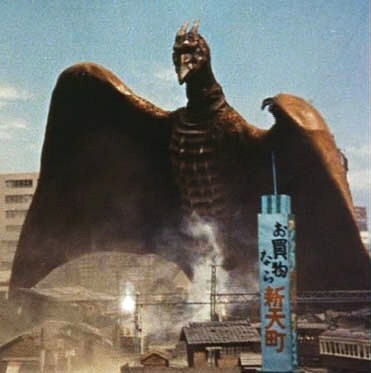 The first is in Ghidorah, the Three-Headed Monster (1964), when Mothra tries to convince the warring Godzilla and Rodan to join forces and defend the Earth against Ghidorah. Godzilla responds that he has “no reason to save humans,” who are always “bullying” him, and Rodan agrees. But they do eventually team up when Ghidorah starts to bully Mothra. All of this is archetypal anti-hero behavior. The second, from Invasion of Astro-Monster, comes after the Xians have dumped Godzilla and Rodan on Planet X. As the Earth astronauts are taking off, Godzilla gives this plaintive wail, and we understand that the Earth is his home too, and that he’s not just a mindless beast to be bartered and enslaved. It’s the first time I really felt sorry for the big guy. What do you make of Destroy All Monsters (1968)? It’s certainly a lot of fun, but how does it fit into the franchise and the kaiju mythology? It was originally supposed to be the final Godzilla movie, correct? WALTERS: I love both of the moments you mentioned, and they seem to drive home the feeling that Godzilla morphs into a “protector of the Earth,” not necessarily a “protector of humanity.” By the time Godzilla vs. Hedorah (1971) comes around, Godzilla is definitely fighting to save the planet from a creature literally made from mankind’s own sludge and waste, and although he does work with the humans to help with their Hedorah-drying electrode plot, I distinctly get the sense that Godzilla is annoyed the whole time. It’s really interesting how Godzilla’s “purpose for being” changes multiple times, especially as the Heisei series kept restarting the continuity. In Godzilla vs. King Ghidorah (1991), he is almost a spiritual protector of Japan, as seen in the flashback scenes of the young Godzillasaurus fighting back U.S. troops to protect Japanese forces on Lagos Island; and later, in Godzilla, Mothra and King Ghidorah: Giant Monsters All-Out Attack (2001), by far the most mystical plot of the entire series (not to mention the film with the longest title), he’s revealed to be “powered” by the spirits of Japanese soldiers lost in World War II, a far cry from his days on Monster Island buddying around with Jet Jaguar! Getting back to the Shōwa continuity, Destroy All Monsters is certainly epic, but also unusual simply because the kaiju who we’ve seen to be so mighty and awe-inspiring have allowed themselves to be corralled onto Monster Island where they all just live in peace. 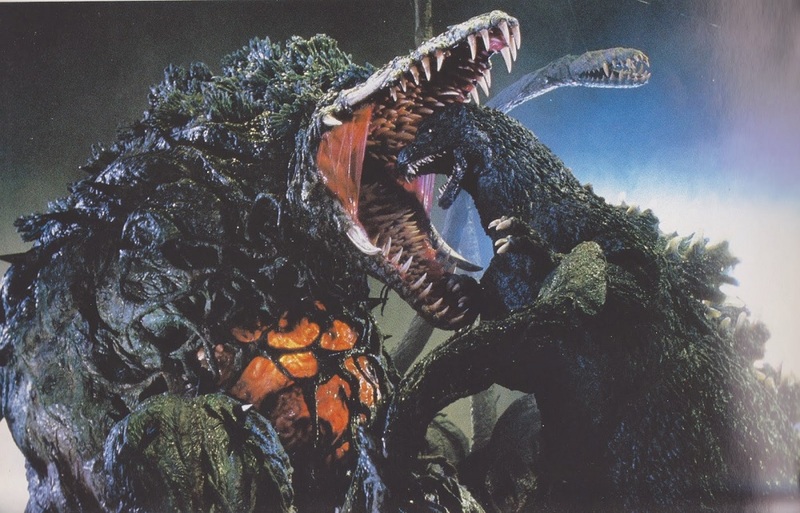 During most of the movie, as they ransack all the great cities and monuments, the kaiju are under Kilaakian mind-control, so even their usual out-of-control rampaging nature has to be spurned on by external forces. 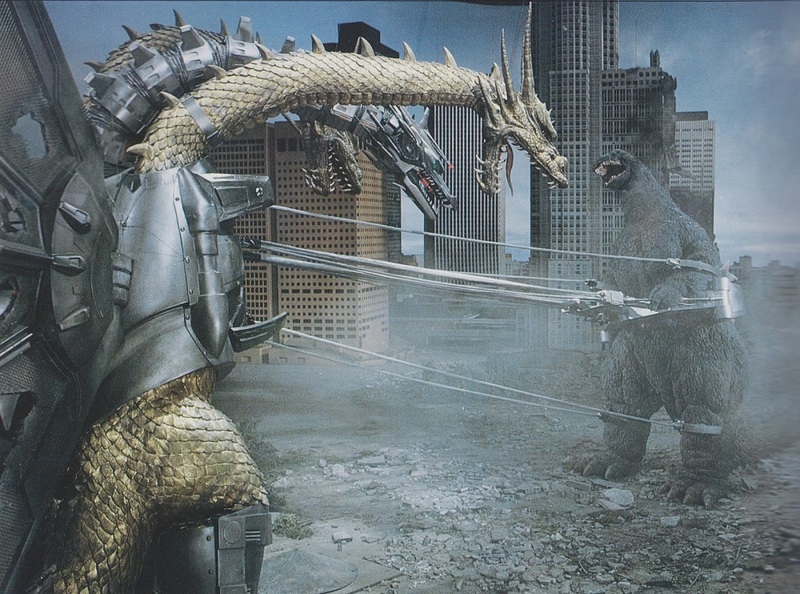 There’s no denying that the final battle with King Ghidorah is one of the best (even including bloodshed, which was somewhat rare at the time), so when the kaiju finally do wake up and have to fight together for their own survival, as well as Earth’s and humanity’s, it’s worth the wait. You are correct that Toho considered making Destroy All Monsters the final movie, maybe just to get the entire dream team (Honda, Tsuburaya, and longtime composer Akira Ikufube) together again at least one more time. 2W2N: You’ve been a serious kaiju student and enthusiast for going on 10 years, to the point where you enjoy listening to and analyzing CDs filled with “kaiju roars and growls” and various sound effects from the movies. What is it about the genre that you find most fascinating and inspiring? WALTERS: Of course there are many reasons that I love these films, such as the wonderful imagination that spawned so many unique kaiju (as evidenced by the more than 100 kaiju toys on my shelf), or the fun juxtaposition of seriousness in the midst of often incredible situations, but what really brings me back to the genre again and again is the true craft of the special effects. Regardless of how many books I read or behind the scenes clips I watch, I am constantly thinking about the hard work of building the kaiju suits, the detailed miniatures, setting up each shot, and planning it all in the first place. I love seeing the “brush strokes” of the artists’ work, and their pioneering and ingenious efforts are mind-boggling to me. In the same way that I prefer hand-drawn animation to CG, there’s just something about seeing enough of the “rough edges” to know that what I’m watching is a masterpiece. To me, kaiju are so incredible because it took unbelievably talented artists like Tsuburaya to bring them to life. Mikey’s suggestions for further reading include Eiji Tsuburaya: Master of Monsters: Defending the Earth with Ultraman, Godzilla, and Friends in the Golden Age of Japanese Science Fiction Film (2014), by August Ragone; A Critical History and Filmography of Toho’s Godzilla Series (2010), by David Kalat; The Good, the Bad, and Godzilla (Ragone’s blog); and Toho Kingdom. A special thank you to Black Sun and The Sphinx, two additional resources featuring incredible kaiju-related photos, many of which were used above. This article is © 2014 Michael Walters and 2 Warps to Neptune. All images © their respective creators. No part of this article may be reproduced or transmitted in any form without the express written permission of the copyright holders. Actually, that grimness is precisely what drew us to fantasy. 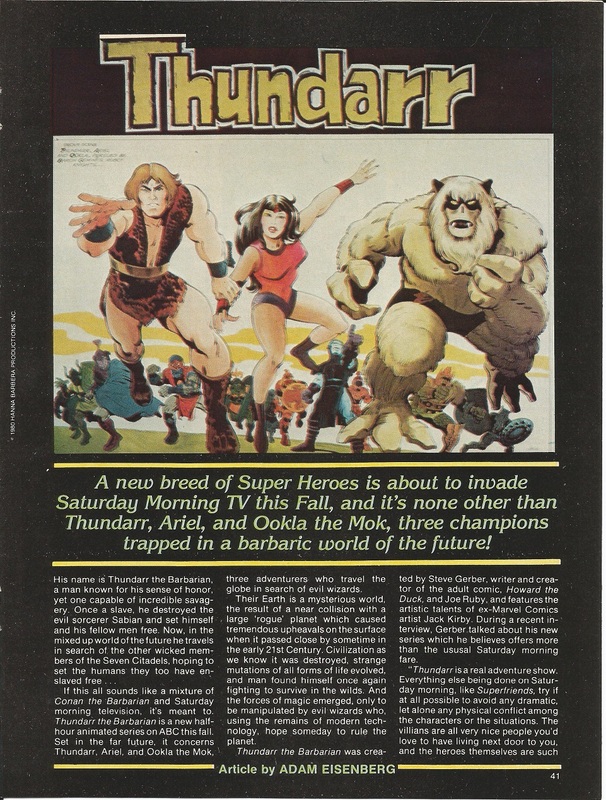 There was enough fluff and meandering optimism in the ’80s. 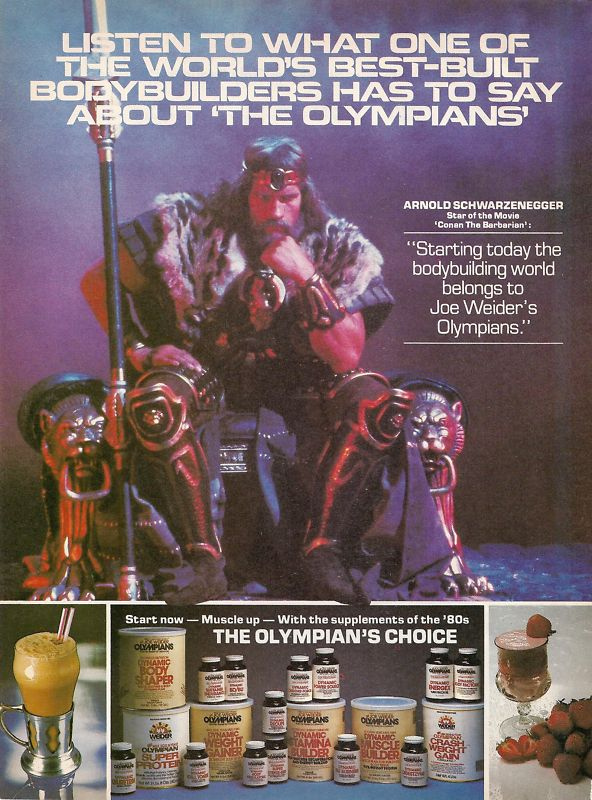 Surely Reo knew how hugely successful John Milius’ Conan the Barbarian had been. Was he unfamiliar with the popularity of Robert E. Howard and Frank Frazetta, the godfathers of the grim, bloody, Romantic fantasy hero? Even The Lord of the Rings, the cornerstone of the fantasy genre, is an epic adventure as well as a sobering work about the nature of evil and the horror of war. The good-hearted humor in the series was not comedy but comic relief. 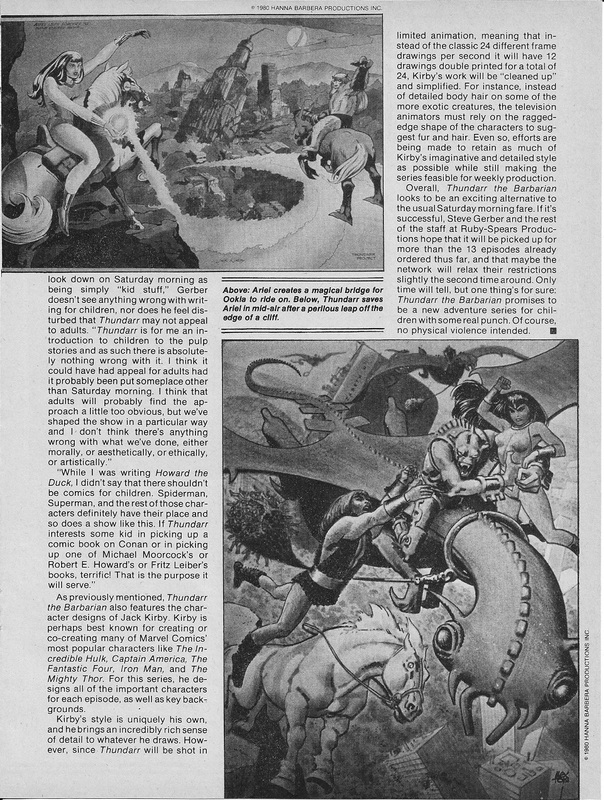 Tolkien, Howard, and Frazetta were and are the main inspiration for D&D. 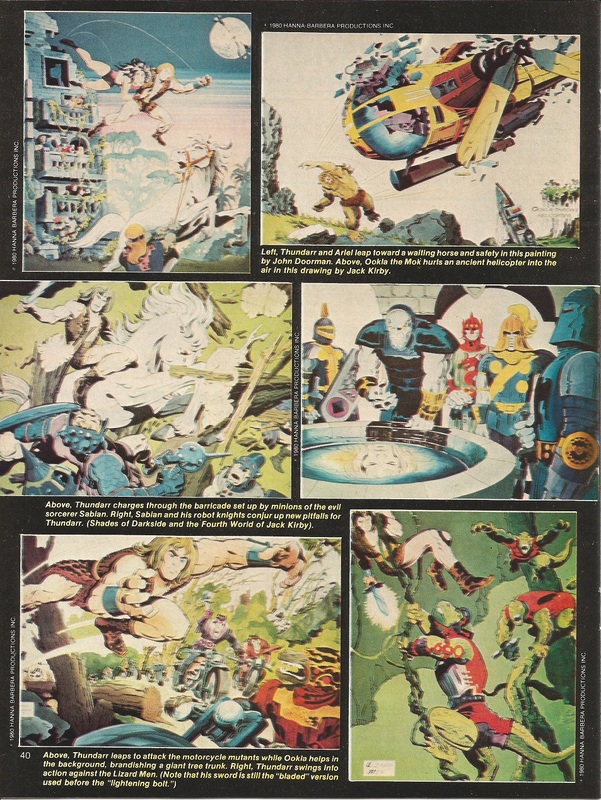 Reo mentions a show called Fugitive from the Empire, a pilot that premiered in April of 1981. The full title was The Archer: Fugitive from the Empire, a.k.a. The Archer and the Sorceress. 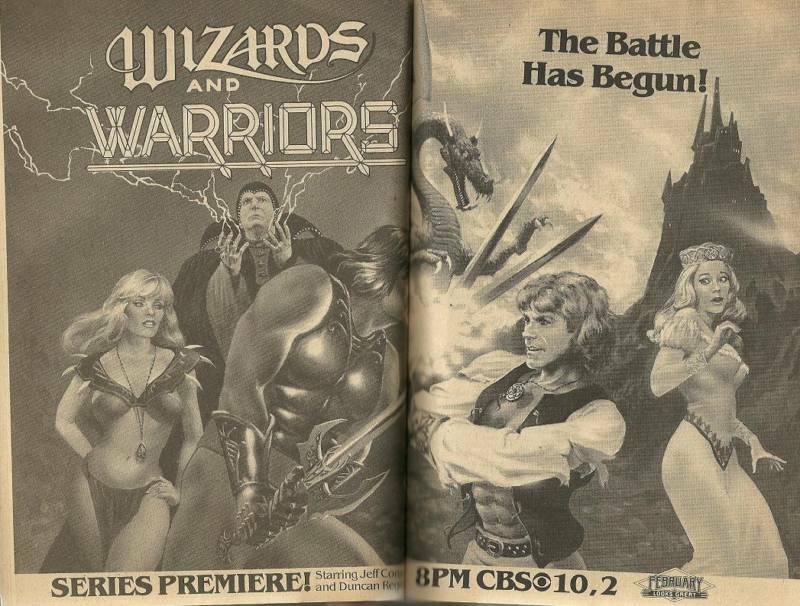 From what I can tell, this was the first attempt at a feature length, live-action sword and sorcery movie produced for TV. The first post-D&D feature film in the same genre was Hawk the Slayer (1980). 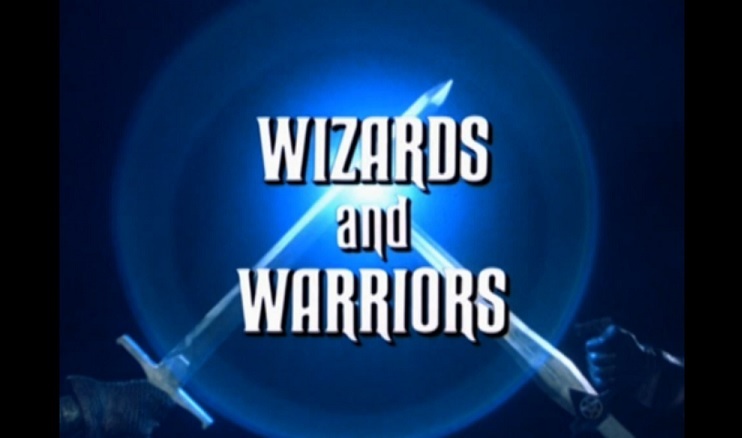 As of now, you can watch the first episode of Wizards and Warriors here. Fugitive from the Empire is here. It was foretold by witches. It was conceived through sorcery. And it was to be destroyed by all that is evil. But the courage of one mortal saved it. And so, into an age of darkness, in a time of mysticism, sacrifice, and plunder, there came the only light… THE BEASTMASTER. Born with the strength of a black tiger, the courage of an eagle, the power that made him more than any hero… more than any lover. He was lord and master over all beasts. (AAAAAWWK). He was THE BEASTMASTER. Behold the wonder, the horror, the fantasy, the challenge of the one warrior they called… THE BEASTMASTER. Marc Singer is Dar. Tanya Roberts is Kiri. Rip Torn is Maax. John Amos is Seth. Together they take us on a fascinating journey back into unexplored times. Conquer your fears. Face the unknown. And discover the incredible link between man, animal, and all that is phantasmagorical. 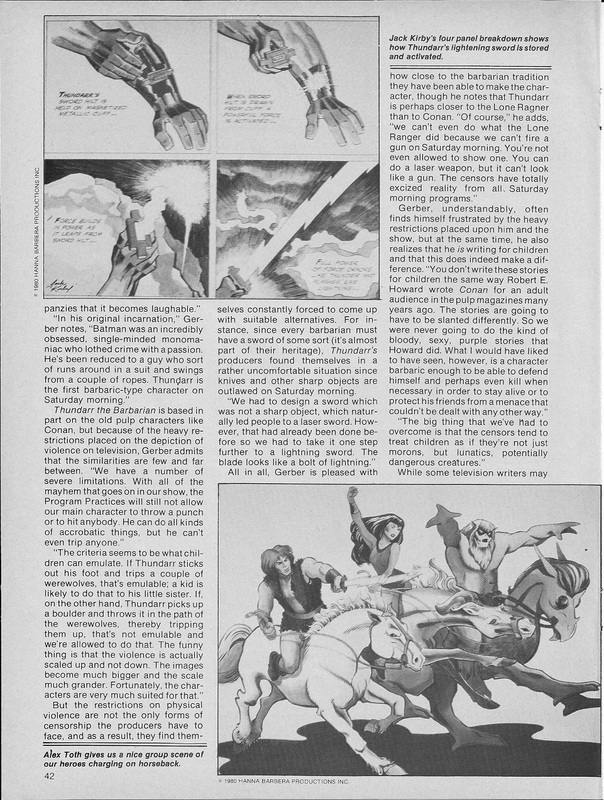 In the world of dungeons, dragons, and Dar: THE BEASTMASTER: The epic adventure of a new kind of hero. The good news is that Brigitte Nielsen is really tall and looks pretty good when she’s swinging a sword. The bad news is everything else that happens in this movie. 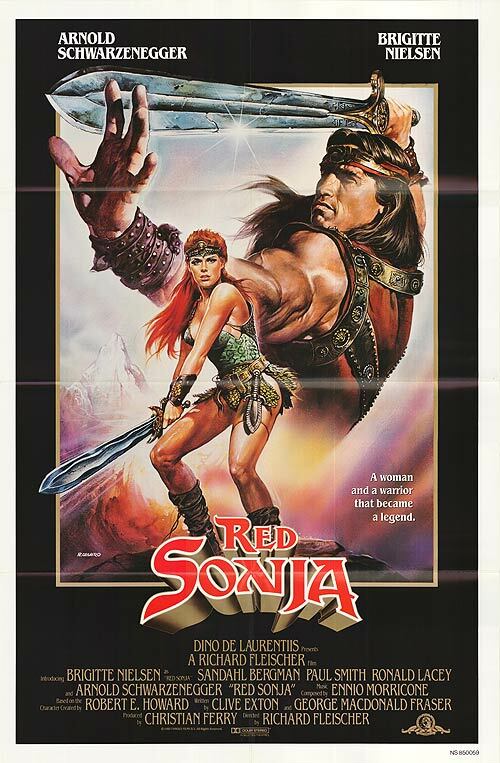 Sonja must destroy an evil green orb before Queen Gedren, who killed Sonja’s family because Sonja wouldn’t let her (Gedren) get in her (Sonja’s) pants, can harness the power of the orb to dominate the universe. Along for the ride are the barbarian who wants to get in Sonja’s pants (Arnold), the annoying child prince who knows Karate (your prayer for him to die a grisly death will be rejected), and the prince’s fat servant who beats people up with a thighbone. A distinctly un-fun entry in the Conan the Barbarian rip-off sweepstakes.